I’ve been reading a great book – it’s called Sapiens: A Brief History of Humankind by Yuval Noah Harari. As the title suggests, it covers the full gamut of history from the dawning of humanity through to our technological age and beyond. What if Neanderthal man had survived to this day and existed alongside homo sapiens as a separate human species – would they have the same rights as us? And. Could you convince a monkey to give you a banana with the promise of providing him with limitless bananas in monkey heaven? In relation to economics, asides from Adam Smith getting plenty of name-checks, it also covers the fascinating formation of investments, banking, credit, the driving forces behind them and how they played a primary role in not only how our modern world is shaped, but also in the history of some of the greatest empires the world has ever seen – specifically the Dutch and British Empires of the 17th and 19th centuries. In fact the Dutch East Indies company was the first company in the world to issue stock. However you don’t need to be a 17th century Dutch merchant or a Victorian gentleman to start an investment today. You can start from £10 a month with Scottish Friendly. At Scottish Friendly, we know everyone doesn’t like to throw caution to the wind. That’s why our flexible My Prosperity (ISA) is an Investment ISA with a difference. It includes a full capital guarantee – which means you are guaranteed 100% of your invested funds if you cash the policy in on the tenth anniversary. If you cash in or take a withdrawal before or after the 10th anniversary, you may get back less than you have paid in. 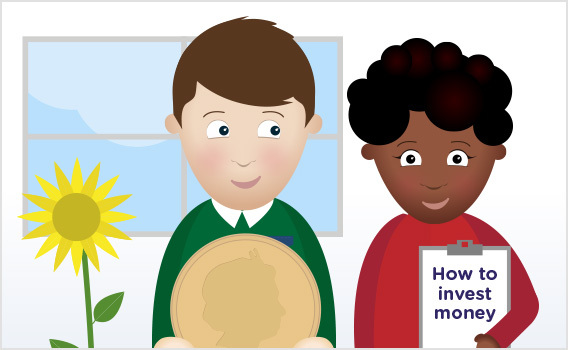 You can start an investment from as little as £10 per month – or £100 lump sum and your money will be invested in Scottish Friendly’s With-Profits fund. The Unitised With-Profits fund is linked to a cautiously managed portfolio of stock market, property, cash and bond assets. You can see how much you might get back from this policy by using the handy slider tool on the ‘How your money could grow’ tab on the product page. As with most investments, it can pay to think long term so you should consider this an investment for a period of at least five years, and ideally ten. As with all Scottish Freindly ISAs, My Prosperity (ISA) is flexible – so you can stop, re-start or pause payments any time you like. You can also increase payments year-on-year by a percentage value if you like (choose from 2.5%, 5% or 10%) – or just keep a static payment (0%). You can also divide your ISA into different policies or ‘pots’ for different investment goals – and name these policies for your goals. Finally you can keep track of your investment using My Plans – Scottish Friendly’s very own ‘digital banking’ site. If you are interested in investing with Scottish Friendly, there is more information available on the My Prosperity (ISA) product page.